As Performed by Gordon Goodwin's Big Phat Band. Arranged by Gordon Goodwin. 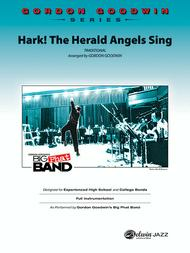 Jazz Ensemble; Performance Music Ensemble; Single Titles; SmartMusic. Gordon Goodwin Series. Christmas; Jazz; Sacred; Winter. Score. 32 pages. Belwin Music #00-38710S. Published by Belwin Music (AP.38710S).